Quickly and easily attaches to most any chair. The Nursing Home Lap Tray has an easy fastener that secures the sturdy nylon safety belt. Adjustable belt fits around a chair back or wheelchair. Made of 1/4in (6.4mm) Masonite(tm) with a vinyl woodgrain finish that can be washed easily. Attach the tray to the chair with hook and loop straps. Armrests have safe, rounded corners with nonslip foam padding. 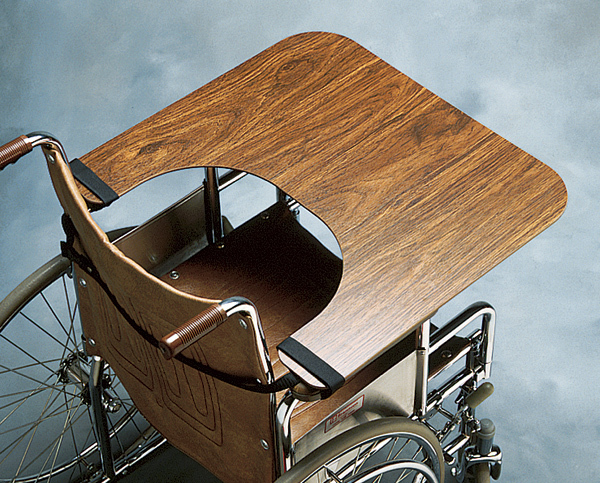 Click the button below to add the North Coast Nursing Home Lap Tray to your wish list.